HOUSE DJ & PRODUCER FISHER & FIEBAK | Fisher & Fiebak „SAXATION“ hits the Beatport Top 10!! Sie befinden sich hier: Startseite » Portfolio » Fisher & Fiebak „SAXATION“ hits the Beatport Top 10!! 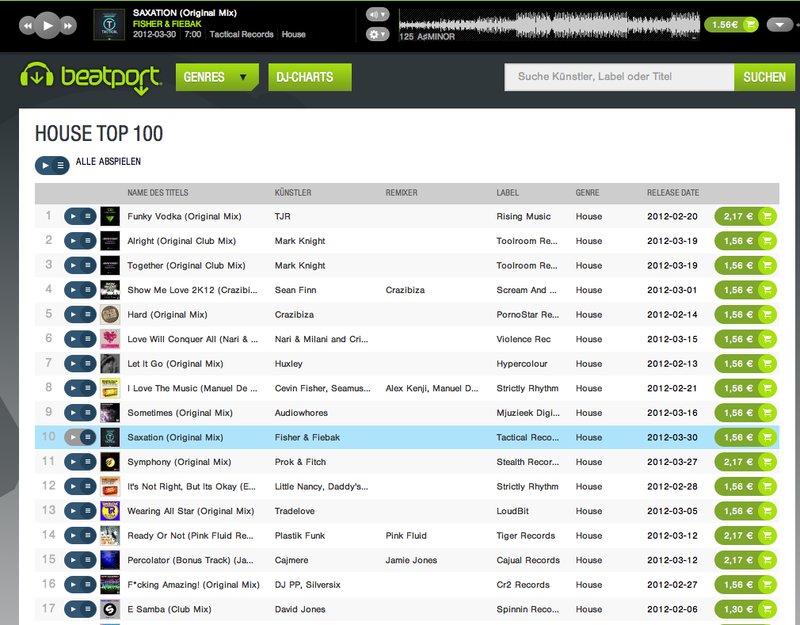 Fisher & Fiebak „SAXATION“ hits the Beatport Top 10! !